How your IT executes a centralized deployment for all employees will depend on the tools and solutions you use to deploy software packages. For central deployment, Sigstr will provide a package installer for Mac OS which can be used with a variety of deployment tools. 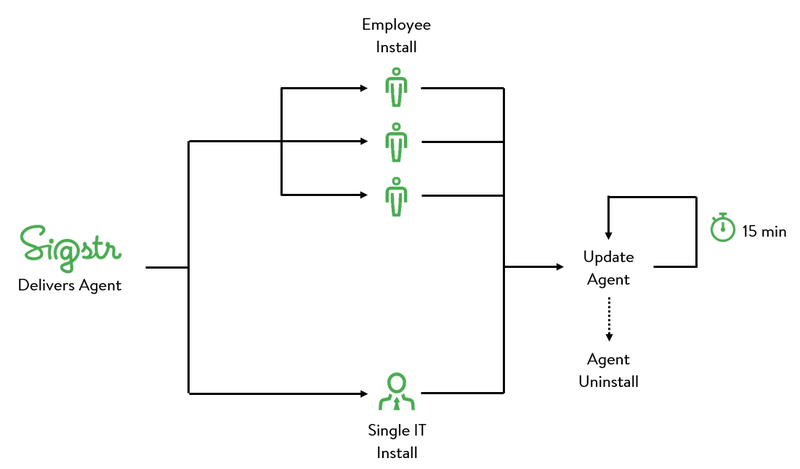 Every IT environment is unique, and Sigstr can work with your IT department and provide suggestions on the best way to execute automated Agent installs.